Since the dawn of time people have marked goods to indicate ownership, craftsmanship, producer or place of production. Just take a look around your current location. From where I am sat, I can see I have a CISCO phone on my desk, a HP printer and my Gillingham FC mug. I can also see that my PC is protected by McAfee, my electrical sockets were PAT tested on January 15 and the printer has a CE mark. The CE marking shows among other things that the manufacturer has checked that these products meet EU safety, health or environmental requirements. When it comes to intellectual property, marking your goods with the relevant symbols and signs can also stand you in good stead. It will make the public aware that your products are protected by IP and may also deter copying. For example, if you have a registered trade mark, this enables you to use the ® symbol. This tells everyone that the mark is registered and allows you to take legal action against anyone who uses your brand without your permission, including counterfeiters. 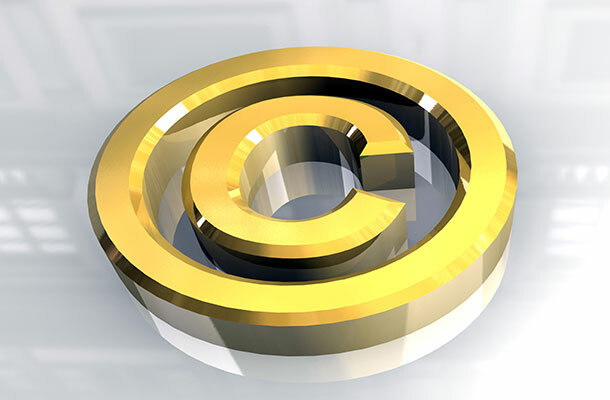 If you are a writer, photographer or artist, we recommend marking your work with the copyright symbol, ©, together with the year of creation and the owners name. Although not mandatory in the UK, the copyright symbol is a reminder that copyright exists in the work. It identifies the copyright owner so people know who to contact if they want permission to use it. Also, it shows the work’s first year of publication. You may also see ℗, although not so common. You might assume that this relates to patents. But no, this symbol is used to indicate copyright in sound recordings, so it’s likely to be seen on CD’s etc. There is no symbol to indicate that a product is patented. You can use the terms ‘patent pending’ or ‘patent applied for’ to show that you have applied for a patent. You can also show the patent application number or the publication number and the country. Once the patent is granted you can mark the product as patented. You can also mark your product with a web address, providing that the webpage clearly associates the patent number with that product. Guidance on patent marking can be found here. Lastly, designs. Registered design owners can currently stamp or label their products with the word ‘registered’ and the relevant registered design numbers. Again there is no symbol to indicate that the product has design protection. Moves are in motion, however, to bring this legislation in line with the patent system allowing a registered design owner to mark the product with a web address. We consulted with the public and the proposal was strongly supported. We will, therefore, take steps to bring forward suitable measures, when there is an appropriate legislative vehicle. So, it's important to be proactive in marking your goods with the relevant IP symbols and signs and please do not hesitate to get in touch below for further advice. World Book Day 2016: Where’s William? "X® is a registered trade mark of X." "X® is a UK registered trade mark of X." Would you be committing a criminal offence if you used the first example, considering the website can potentially be accessed globally? Hi. Can anyone help with the question above please? The question would also apply to using the ® symbol with your trade mark in other parts of web pages as well as the footer, web page title tags/descriptions that appear in search engine results etc - do you need to state it is a UK registered trade mark only? There is no obligation to state that it is a UK registration. It is only an offence to use the ® symbol if it is not a registered mark. Thanks very much for your help Paula. can one use the ®-symbol as soon as their trademark is published (in the journal), in other words during the opposition period or do you have to wait until the opposition period is over before you can use the registered sign with your mark? Hi there, no you can not use the r in a circle symbol until the application is registered and you receive the certificate. Until then there is no guarantee that it will be registered as an objection cold be raised and cause the application to be withdrawn or refused. You may use the tm symbol until it becomes registered. Thank you for the clear explanations. Does the TM mark serve any useful purpose? Many companies use TM to show that they regard the name/logo as their trade mark, even though it may or may not be registered. TM has no legal standing in the UK or Europe but in other countries it may have significance. 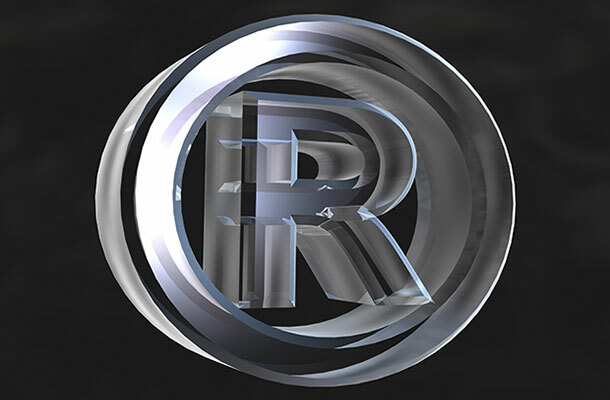 Remember that using the R in a circle is a criminal offence if it is not a registered trade mark.